A few things that caught my eye this past few weeks. The twitterization of the academic mind [link]. Social media has made scholars impatient, vicious and dull. As a Scorpio this is good news . . . When you go to sell your house, the real estate lady says: before showing the house, you should bake some bread and set out a bouquet of flowers. Not so fast says this New Yorker article: “The hidden air pollution of our homes [link]” as indoor air quality has been reduced by these olfactory and visual attractive agents and by our choice of foods, personal care products, cleaning agents and cooking fuels and preparation methods. Living indoors may be worse than breathing the air of the great out of doors, to which I have a solution: central heating/air conditioning air filters. The air filter that originally came with your HAVC system usually was to remove lint from the air to keep the blowers bearings clean. Today, there is a gradation of increasingly pollutant removing air filters including a MERV 16. That is, Minimum Efficient Reporting Value, removing bacteria, cooking oils, smoke, most insecticides, VOCs and many more. Removed also is your aerosolized skin oils and other stuff your body produces that doesn’t necessarily smell all that great. So, instead of giving up your breakfast toast, or Thanksgiving’s turkey, or stir-fry, or Indian seasonings, tinker with your furnace, add MERV 16 filter and enjoy the great-in-doors. Climate is heating up. The children are marching. What a show! With many months to go. A latter day children’s crusade. I hope they catch the bus at least. If you look up from your scientific literature workload to to watch CFACT’s counterfactual climate Kabuki, or read screeds like Larry Kummer’s The noble corruption of climate science , it’s hard not to break out laughing. It’s the gormless naivety. Common to both children’s crusades. The first provided tasty meat to predators. The link led me to yet another link to the original article. Now, I have trouble with models in general, basically because I don’t understand how they are constructed and in particular, their use to explain very complex issues like airborne particles and respiratory health. This leaves me with a bad taste in my mouth. To their credit, the authors try to use particulate measurements obtained in Eastern US and Europe and model particulates in regions of the world that have few measurements. They then attempt to explain particle size and deposition in the respiratory system and eventually go onto human health impacts like heart disease etc. Some of the original article’s references I have been familiar with for a long time. Many are epidemiology studies like Dockery’s Six City Study, etc. Causation does not equal correlation. We breath in particles of all sizes, shapes and composition every day until our last. There are effective defense mechanisms all along the respiratory tract that removes these particles: the mucocilliary escalator system, and it operates 24/7. Then there is the cellular defense systems including macrophages, lymphocytes and leukocytes then an array of circulating and fixed molecular forces. This formidable defense system can be somewhat overwhelmed by smoking 2 packs of cigarettes a day or something similar. For air pollution to be effective in impacting human health, there is to be sure a range of people’s sensitivity and effectiveness of their defenses, but, the most important, is the concentration of airborne products that the respiratory system is exposed to and…for how long. Brief episodes verses prolonged episodes matter. Living in highly polluted air does negatively impact health in general and respiratory health in particular. An observation of this truism, at the end of the 19th and beginning of 20th Century here in the US, consumption, ie, Tuberculosis (Tbc) was rampant and highly communicable. Our cities were highly polluted in part, by homes burning coal for heating. Incomplete combustion and high air particle numbers. Within a brief period of time, in the 1920s homes were rapidly converted to using natural gas for indoor heating and the outdoor air quality dramatically improved. What was observed and not really explained: the incidence and then prevalence of Tbc plummeted in the US, prior to the invention and use of effective anti-Tbc drugs in the early 1950s. The Tbc sanitariums were closed. Today, the incidence and high prevalence of Tbc occurs where? In the locations in the world where there is the highest air pollution. The use of natural gas for cooking and heating will drive down the human toll of Tbc. What problem? CO2 is not a problem. It’s beneficial! Why not thorium? A forgotten war technology could safely power Earth for millions of years. Here’s why we aren’t using it. Here’s the real reason we aren’t using thorium: its many decades away from being viable. To get it to the point of being commercially viable would require building as much thorium power station capacity as current existing world nuclear capacity. Thank you for the reference P L. Look like the practical technology of Molten Salt Reactors (MSR) hasn`t been developed yet (2012). “Thanks for information” to quote Van Morrison. Yikes, there is so much stinking information today! And you are linking it. Thanks, I think. ‘The whole aim of practical politics,’ wrote H.L. Mencken, ‘is to keep the populace alarmed (and hence clamorous to be led to safety) by menacing it with an endless series of hobgoblins, all of them imaginary.’ Newspapers, politicians and pressure groups have been moving smoothly for decades from one forecast apocalypse to another (nuclear power, acid rain, the ozone layer, mad cow disease, nanotechnology, genetically modified crops, the millennium bug…) without waiting to be proved right or wrong. Increasingly, in a crowded market for alarm, it becomes necessary to make the scares up. More and more headlines about medical or environmental panics are based on published scientific papers, but ones that are little more than lies laundered into respectability with a little statistical legerdemain. Amazing finding– global warming (GW) doesn’t just cause more tropical cyclones but also, GW causes a ‘rapid intensification’ of them, but essentially… the destabilization of the tropical atmosphere, due to GW, essentially cases changes variation in ENSO events such that changes in the El Niño-Southern Oscillation, due to GW, there’s no more than the usual number of tropical cyclones, despite GW. Sorry Judith but this is more “Week in Preview”. 3	Give up debating Climate Change and take up patchwork. Unfortunately, I cannot refuse to pay for my TV license as I am old enough to be given a free one!! So, I will be watching in trepidation and trying not to shout at the television too much. Seriously, I fear the programme will be very biased and with Sir David Attenborough’s decades of excellent work, including his work on natural history and pollution he is very well respected. But any debate, in this instant, will probably be rather one sided. I predict 97% of the viewers will believe every word Hansen and Mann say. Here in the US roughly half the adult population are skeptical of climate alarmism. I suspect that fraction is somewhat greater than 3% in the UK. Have there been no polls on this? A real shame about Attenborough. Gone down the rabbit hole. My 97% was a bit of tongue in cheek. Unfortunately skepticism/acceptance of GW is confused with skepticism/acceptance of AGW but I image the UK is similar number wise as the US. Interesting to see the response after the programme as Sir David Attenborough is considered a British Icon along side the Queen, Big Ben and Fish and Chips. Go ahead and shout at the television. It makes one feel better. Same impact as Paris climate treaty. I use group theory, the study of mathematical symmetries, to explain the problem. The spin in classical mechanics has orthogonal group O(3) symmetry. This can be represented by real numbers in 3-space. For example, if we look at Earth’s spin at the North pole, the spin direction is anti-clockwise. Rotate the Earth 180 degrees and we see the South pole. The spin direction is clockwise. Hence, we reversed the spin direction by rotating the object 180 degrees. Rotating it 360 degrees, we see the North pole again and the original anti-clockwise spin. Hence, the object has symmetry in 360-degree rotation. This is the O(3) symmetry. The spin in quantum mechanics has special unitary group SU(2) symmetry. This is the symmetry of complex numbers. It cannot be represented by real numbers in 3-space. For example, we see an electron with anti-clockwise spin direction. Rotating it 360 degrees, we see the spin reverses to clockwise direction. To restore the anti-clockwise spin, we have to rotate it 720 degrees. Hence, electrons have symmetry in 720-degree rotation. This is the SU(2) symmetry. The problem is spin quantum numbers are real numbers (integers and non-integers). They cannot represent the SU(2) symmetry. Not one combination gives an integer spin. Spin is a vector but it does not obey vector addition. Something is wrong. We can obtain the spin quantum numbers by changing the values of the spin components. But this violates the rules of quantum numbers that require spin to have only specific integer or non-integer values. S is not conserved. The sum of the opposite quantities is not zero. Neat trick but it violates the rules of vector analysis. The spin angular momenta are added as scalar quantities. It is a legitimate mathematical operation if the vectors are on the same axis. But the spin axes at angles A and B with respect to the y-axis. They are not on the same axis. It is a false vector summation. Total angular momentum equals the spin angular momentum. As discussed in Item 3, spin angular momentum is not conserved, unless a false vector summation is employed. Therefore, the conservation of angular momentum is violated. 1)	In Axiom 2, anti-spin is a complex number. It represents the SU(2) symmetry which is a symmetry of complex numbers. Now the spins obey the law of vector addition, without changing the spin components to have different values from the spin quantum numbers. The sum of two opposite quantities is zero. Hence, spin angular momentum is conserved. Hence, I obtained the total angular momentum from Axiom 5. I already proven that Axioms 5 and 6 obey the conservation of spin angular momentum (S). Since S = J, therefore the conservation of angular momentum is also obeyed. Recall that Bell’s theorem does not apply to 1 spin in 1 spin axis. Experimental evidence indicates only 1 spin axis for particles. Therefore, Bell’s theorem cannot test the realism or non-realism of spin. Strangelove’s theorem is a revision of Bell’s theorem by applying Strangelove spin algebra in order to test the realism of spin. Recall that Bell’s theorem calculates the probability of similar spin in 2 spin axes of a particle. It is invalid because there is only 1 axis. However, if we postulate that 1 spin is real, then we can test this postulate since a vector can be expressed as a sum of 3 component vectors. The 3 spins in Bell’s theorem are replaced by 3 spin components of 1 spin in Strangelove’s theorem. The postulate “1 spin is real” means objective reality. The spin exists whether we are looking at it or not. This is the opposite of Bohr’s non-realism that asserts the spin we see exists only while we are looking at it. Experimental results follow the predicted outcomes of probability theory. Therefore, the postulate that 1 spin is real is true. When Strangelove spin algebra is applied to Bell’s theorem, the experimental results are as predicted by realism and probability theory. This is Strangelove’s theorem. It makes Bohr’s non-realism unnecessary. It is a superfluous assumption that is not required to explain the experimental results. Occam’s razor demands it should be cut out of the theory. With non-realism out, non-locality is also cut out of the theory. The entangled particles in the EPR thought experiment do not have to communicate faster than light. Their spins are correlated from the start before they were separated. Strangelove spin algebra is based on the algebra of complex numbers. In essence, complex numbers replaced the non-realism of Copenhagen interpretation. Non-realism is not math, it’s not physics. It is metaphysics. Non-realism originated from Berkeley’s empiricism in the 18th century. Berkeley argued the moon does not exist when we are not looking at it. Reality is only what we perceive. There is no reality outside our perception. It is a denial of objective reality. Berkeley also called Newton an infidel mathematician and Newton’s calculus as the “ghosts of departed quantities.” Bohr replaced the moon with electron spin and we get the Copenhagen interpretation, a modern version of Berkeley’s empiricism. On the other hand, complex numbers are well-established in math and physics. Complex numbers have been part of algebra since the 16th century. The greatest mathematicians Euler, Gauss and Riemann established complex analysis. In physics, complex numbers are essential to quantum mechanics. Mathematically, the difference between classical mechanics and quantum mechanics is the former uses real numbers and the latter uses complex numbers. The wave function and Schrodinger’s wave equation are complex functions. Von Neumann used the complex projective space, a coordinate system for complex numbers, as the mathematical foundation of quantum mechanics. Pauli spin matrices also contain complex numbers. What is the physical interpretation of complex numbers? In geometric representation, a complex number cannot be placed in axes containing real numbers. An additional axis must be created for complex numbers. For instance, if the geometric representation is 2-dimensional, the additional axis is a 3rd dimension. I interpret the complex numbers in Strangelove spin algebra as an extra dimension. The SU(2) symmetry represents a higher dimension spin symmetry. This symmetry is not possible for 3-dimensional objects in 3-space. An n-dimensional complex projective space corresponds to (n+1)-dimensional complex vector space. In other words, the 3-D complex projective space of quantum mechanics has 4-space vectors. There’s an extra dimension. Extra dimension is found not only in quantum mechanics. Einstein spent the last 40 years of his life searching in vain for the unified field theory of relativity and electromagnetism. Kaluza unified Einstein’s theory of relativity and Maxwell’s electromagnetic theory in a 5-dimensional metric tensor. The key to unification is the 5th dimension. This is the Kaluza-Klein theory. The 5th dimension is subatomic in scale that’s why we cannot observe it. However, it may influence subatomic particles because they are the same scale. I hold that all the so-called quantum weirdness and non-realism nonsense are just the interactions of particles with the 5th dimension. That’s why we only see quantum effects on atomic scale and not on large objects. Atoms can be in superposition. Schrodinger’s cat is not a living dead zombie. Strangelove’s theorem proved realism and objective reality. It is not quite the reality that Einstein thought. He favored the 4-dimensional spacetime of his theory of relativity. Rather, it is the 5-dimensional Kaluza-Klein theory. You should have done this as a guest post, not a comment. I will respond by email if you give one. “Solution to the nuclear waste problem [link].” Perhaps foreshadowing the article’s claim, the link is devoid of content. Nearly 25 years ago predictions were being made for the demise of the ski industry. 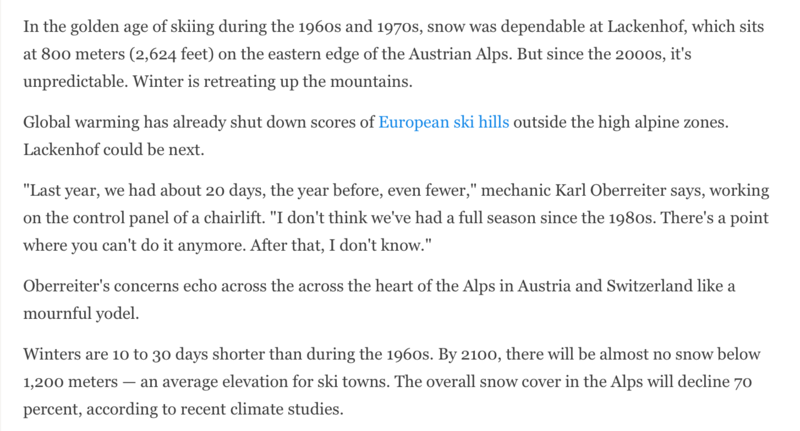 Meanwhile, in realityville, Squaw Valley got 45 feet of snow this ski season, Colorado has near record of snowpack and a study found increases in mean snow cover and snow days in China. Xuejing et al 2019. Thousands stranded in Alps from heavy snow. Rome? You were hoping for an audience with the Pope? Besides the articles on the decades of historic flooding in the Missouri River watershed, it should be noted that in 1543 DeSoto was confronted with massive flooding at the confluence of the Mississippi and Arkansas Rivers that lasted 40 days. Along with the many other links above, this post is a tour de force for natural variability. But should we be surprised there is so much evidence that finding a signal for AGW is difficult. Dams. How many dams were there when DeSoto was there? My grandfather owned a DeSoto in the early 1950s. Whenever he spoke about his DeSoto I heard him say many damns. The DeSoto reference is absolutely meaningless. In 1952 there was a huge Missouri flood. JFK dedicated the last of the big Missouri River dams. They are no longer able to control the flooding: 2011-12, and now 2019. It’s not meaningless. We have a younger generation and those easily susceptible to brainwashing who believe every weather event is unprecedented and only occur because of global warming. They need a little education. Ancient history did not start with Elton John. Stuff happened well before AGW. Plus because of their illiteracy with history, it might do them good to know who DeSoto was. And that there were automobiles named DeSoto. Nothing is meaningless. The Arkansas River flows into the Mississippi. As do the Missouri River, the Ohio River, the Illinois River, and the Red River. Thanks for the geography lesson. All irrelevant to the larger point that every weather event that has been happening for thousands of years is portrayed by the cultists as proof of AGW. Some get faint at a summer breeze. And weather events you have almost no data about are taken to be something they aren’t. You don’t know from where the additional water came. You don’t know how much there was. You don’t know what amount of water was required stall a bunch of men in the year 15whatever. But you have a lot of confidence. At least in economics there are logical and timely ways to test hypotheses. Behavioral Economics was barely in its infancy and the Phillips Curve was sacrosanct 50 years ago. The profession has learned its limitations and is constantly seeking to make sense out of its failures. Given uncertainties about issues on a millennial timescales, instead of generational rethinking, it could be that climate science will be rethought on a succession of civilizations basis. Koutsoyiannis: Extreme-oriented selection and fitting of probability distributions. Wow! There’s a topic for further study. Excellent. More floods, more dams. More drought, more dams. More renewables, more dams. But even without climate change, the US Flood Control Program is only half built, hence the floods. 1. Absolute authoritarianism without meaningful accountability. So let’s look past the sweet irony that an “expert” on recognizing cults was the reference point for the analysis, even though, of course, the “expert” wasn’t asked to evaluate the application of his work. Might such an accountable reference to an “expert” from within a complaint about “authoritarianism” be a sign of a cultist? The leading advocates of the Climate Change movement are politicians, entertainers, and even children. Climate preachers such as Al Gore and Leonardo DiCaprio lack any formal scientific training whatsoever, and live personal lives of unparalleled luxury while prescribing carbon austerity for the masses. Yet no one is permitted to point out their scientific ignorance or call attention to their hypocritical lifestyles. Perhaps the sign of a cultist? “Unparalleled luxury, “as opposed to say, Donald AGW is a Chinese Hoax Trump? Perhaps selective culling of examples so as to send up signals to ideological compatriots is a….sign of a cultist? Child advocates such as Greta Thuneberg and the crudely indoctrinated children of the “Sunrise movement” are essentially sock puppets for their shameless activist handlers. Refuse to bend the knee to these tiny fascists, as Diane Feinstein most recently did, and the mainstream left will relentlessly attack you as an accessory to mass murder. “Crudely indoctrinated”? Perhaps alarmism, and making assumptions about the agency of people to make up their own minds, is a sign of a cultist? Perhaps name-calling and polemics are signs of a cultist? Ugh…and on and on. Same old same old. Perhaps playing the same games over and over is a sign of a cultist? A few SMR graphics mostly. Note the silicon carbide fuel cladding. The Thorium molten salt reactor (TMSR) has run for five years continuously. See the Thorium Energy Alliance. China is hot on developing it commercially. US problem is three-fold. It needs to reclassify the radioactive designation of Th, there is lobbying against it from fossil fuel industry, and there is no influential power promoting it. Cheaper than coal, intrinsically safe, no proliferation problem, needs little water, etc. Better than sliced bread. BTW, promoters’ and advocates’ estimates and projections are not evidence. Evidence is decades of operational experience in many commercially operating power plants, and evidence that they are winning contracts in competitive tenders. Please provide such evidence. Peter Lang calls for operational experience to provide evidence. So, let’s build some such reactors and we have evidence. But there is no valid operational evidence to support his claim, as I clearly pointed out in my comment. Your reply suggests you did not understand the point I made in my reply to you. Peter Lang, I am glad you are knowledgeable on LFTRs. More people should be. Rather than quibbling over the ‘what is is’, we should realize that we have a proof of concept established to start planning and making sensible future cost projections. Surely at the present the comparative electricity generation assessment vs. coal must be a coarse one. Too much depends on the regulatory ‘squeeze’, time to develop commercially, black swans popping up, the future international market forces, etc. But, if I was a venture capitalist with a $1Billion to offer, I’d go for it. You’d lose you money. All of it. of course the paper doesnt make such a black and white claim. That won’t last long – expect this posting on neoglaciation to be promptly espunged from the warmist-alarmist wiki-creed-ia. The article is written by someone who is”professor emeritus of forest science at Texas A&M University ” so yes, his opinions carry the weight of his qualifications and experience. Which is more than can be said for many other opinion pieces on climate related subjects. Err no. he presents no data to back up his opinion. Mike Mann has opinions too. You skeptics need to be more skeptical. “Emeritus can also mean…. hasnt kept up on the science” Is that a verifiable fact, or just an opinion that should be labelled as such? “Since 1992, the use of the clearcutting method of regeneration harvest was de-emphasized on the national forests. 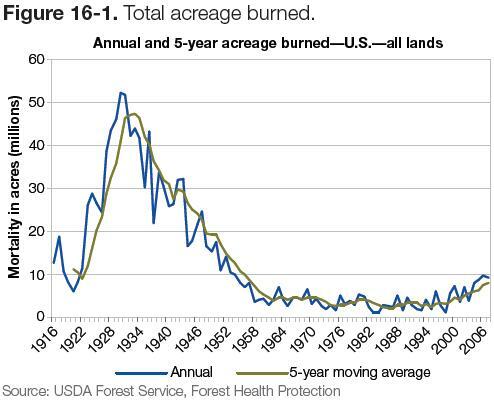 This change, coupled with a general decline in timber sale program levels, led to sharp reductions in regeneration harvest practices and associated K-V receipts on many national forests. These reductions led to a general decline in reforestation needs that continued through the late-1990s. The second paragraph looks very much like what the professor said. It says, in summary, that there is too much vegetation and that is why the fires are so severe. So Bonnicksen did support his opinion with checkable facts, just some didn’t read them. 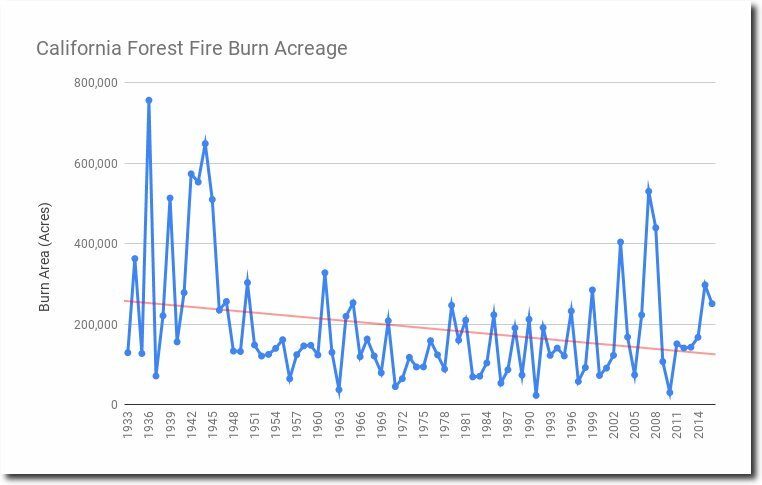 There is a consensus among forest management professionals (those that are the experts) that poor forest management practices over decades increased the probability of major forest fires. This is not rocket science. Consult any true forest management professional and they will tell you the same thing. They neglected best practices for too long and it caught up with them. It seems the forest mamagement professionals have only just discovered that their charges emit more methane than all the world’s cows. I can check for myself. He gives me nothing to check, therefore he makes no claims. I dont buy AGW because there is a consensus. I buy it because I can check for myself. Yes, reproduceable results matter, even though we can’t run the control experiment and in terms of global mean, have only one observation. But that’s also why we don’t buy high temperature sensitivity, changes in tropical cyclones, drought, floods, blizzards, changes in jet stream, extreme temperatures, et. al., because we can check for ourselves and the observations don’t support such ideas. Classic that in response to Steven’s comment, we have “skeptics” go with an appeal to authority and an ad populism/appeal to consensus. Sometimes it’s so self evident it doesn’t matter. I worked with Forest Management professionals who administered millions of acres of public lands for decades. As I said, this is not rocket science. Followed by appeal to self-authority. Try common sense. You don’t need a scientist to tell you not to store highly combustible materials in your basement. Not self authority. Just having worked for years with those who are in the best position to know. One of the first program briefings I received when I became budget director in the 1970s was from our forest fire protection managers. They asked for a large increase in staffing given increased risks of forest fires from changes in tree species and growth of the housing/forest interface. They didn’t receive the increase, not because of a lack of need, but rather a higher priority at the time being given to toxic waste sites and groundwater issues. I had confidence in their knowledge and competency. Much more than any academic who only reads textbooks or someone cloistered in a cement block cellar. Joshua – it is not an appeal to authority. It is just noting that it is an eminently qualified person giving his opinion which was clearly labelled as such. We are not quoting him or saying what he said is true..
As usual, you are twisting words and distorting meanings. Please stop it. anonymous dude appeals to his own anonymous experience. I own a forest. My property is adjacent on two sides with a state park that is a virgin hardwood forest – never cut. On a 3rd side there is another large private stand of very old oaks. In total, it’s a lot of big trees. We have a thick layer of debris on the forest floor, including fallen limbs and leaves and twigs and blow-down trees: heavy logs. There is not enough money in the world to “manage” that. Forests like mine last for centuries because that stuff is actually not that easy to burn. Last year there was a prolonged summer drought, and I was the first member of my family in well over a hundred years to have any concern at all about having a forest fire on the family land. Some of you are talking Mediterranean climates. There is extensive research on Mediterranean woodlands and fire regimes. Less facile commentators might consult some. Hilarious. It’s acceptable to make an opinion about how AGW was the cause of the fire but not acceptable for a forest scientist to have an opinion. Both views are overly simplistic. Perhaps, the good professor knows what the AGW battalion falls for and he wanted to keep it simple for them. 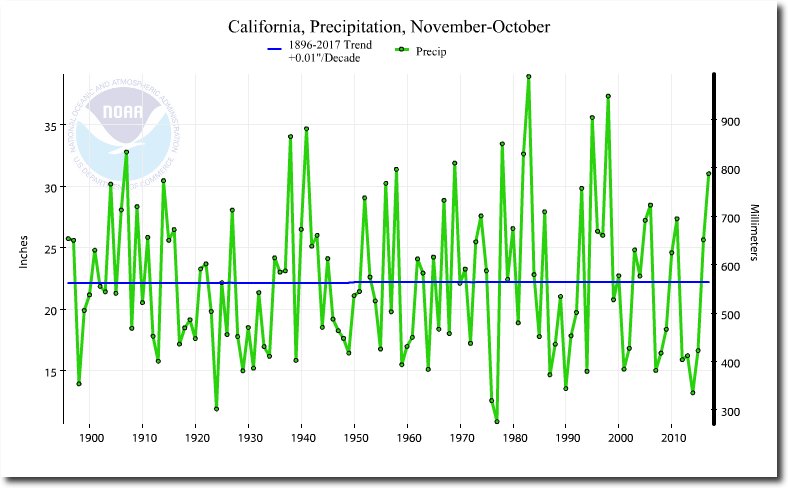 It certainly looks like there is a weak basis to say that California hasn’t been down this road before. 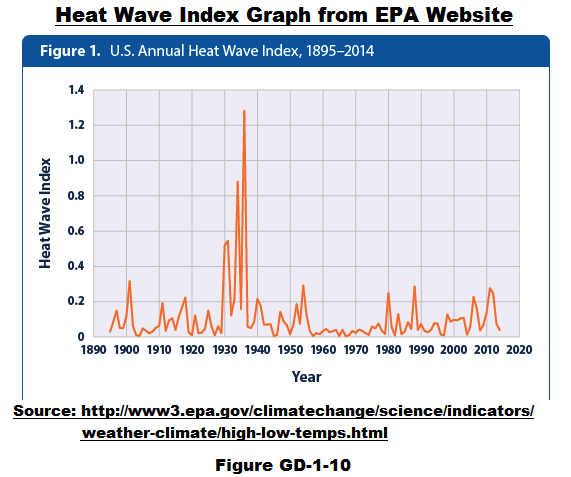 Is the real cause AGW? Or could it be that several variables are at play and it’s nearly impossible to determine a chain of causality from a single cause. There are common sense views in the forest management profession that sensible timber harvest and fire suppression practices including proscribed burns will keep the risk of catastrophic fires down. But they also know the wildland/urban interface has increased the risks of major fires as well as activities within the forests that increase the probability of setting fires over what might have occurred many decades ago. And yet, even with all of these other variables some want to have an opinion, without scientific foundation, that it must have been AGW that caused it. 2. Both are simplistic, why did you defend one of them? The post is titled SCIENCE EDITION. The article is an opinion. I’d object if it was opinion piece about AGW or GND, because it would be opinion. Note, no one has a substantive or convincing reply to my objection. So Mosh is beating this drum again. Why? Sorry – this piece is much more science than anything he thinks about climate. We may regard his comments as a simplistic and symbolic buttressing of bias – commonly defining unilaterally skeptic shortfalls based on his exposure to the climate blogosphere. And suggesting that they pull up their socks. Not remotely scientific – yet he seems capable of little more. It makes of science a tool for limiting understanding rather than a process of discovery. Fire regimes – however – is established science. Seen here in the public policy arena. It IS an opinion – what makes you think of science? The title of the post is week in review SCIENCE edition. I expected likes to science. I don’t note Mr Mosher’s criticisms of any of them. Must have been that pesky co2 what done it. There is no paywall that you cannot get around. Check the contributions section and you will see which author did what. On the “indoor air pollution” article: In chicago I used to drive by the candy factory and smell chocolate all the time (it was wonderful). then EPA told them that this was pollution and it had to be controlled. No more wafting of heavenly vapors. Same with baking bread: NOT the same as household cleaning agents. 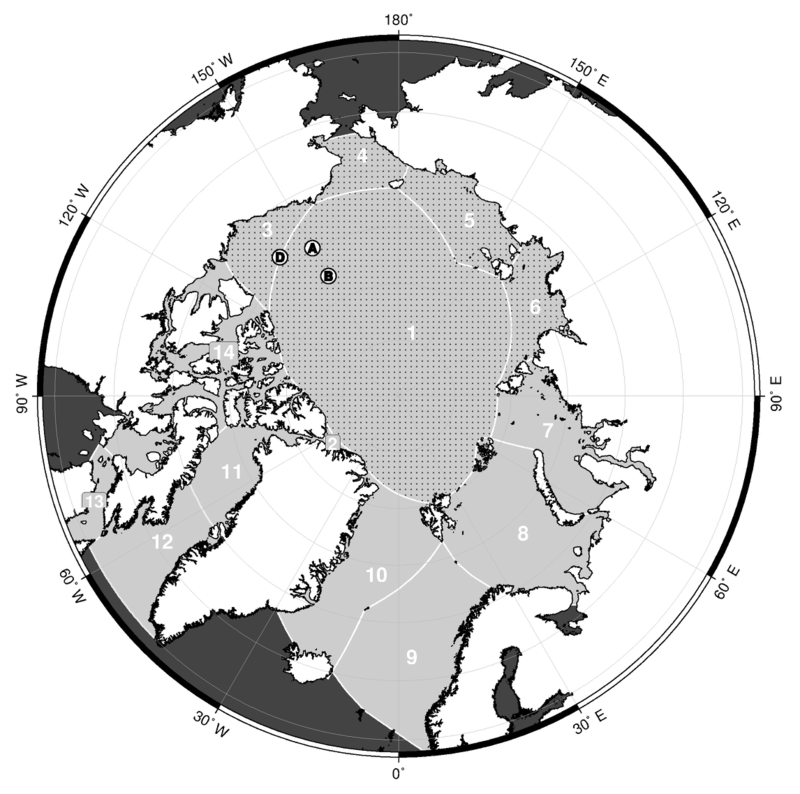 Figure 6 is the central arctic. not the arctic. Such tendentious quibbling is a hallmark of the climate blogger. Both sides but some have raised it an art form. It is not ‘my projection’ – it comes from the study. Are you claiming region 1 isn’t most of the Arctic? Or not relevant to sea ice thickness? I don’t take this – or any other – climateball talking point seriously. And outside of science there are only climateball talking points. But is this Emperor Mosh taking cognitive dissonance to new depths? Leave it to New York Magazine to presume it’s positioned to teach bona fide scientists how to argue constructively. Find out how much it costs to make and sell some at auction? I would suggest no more than $10-20/tonne CO2. And funding up to 80% of prototype facilities. Koutsoyiannis had me fooled. As if probability distributions played much part in extreme flood forecasting. More extreme events multiplied by X. But despite niggles about WMO methods for extreme flood forecasting – I’d be happy to get last weeks freshet right. I am working on a hydrological analysis – quantity and quality – of the Fitzroy River Queensland in QGIS. I have uploaded a 25m DEM. Hardly even a start. Robert I Ellison: Koutsoyiannis had me fooled. As if probability distributions played much part in extreme flood forecasting. It’s good paper, with a testable hypothesis: if you know the underlying distribution accurately enough, then you can do a better job predicting extremes than if you only know the (limiting) extreme value distribution estimated from the history of extremes. And if you know the underlying distribution accurately enough, then you can do a good job forecasting percentiles, such as the 99th and 95th percentiles. From his theoretical developments and illustrative computations arise the practical questions: Which estimation regimes produce the more accurate forecasts? Should the new methods replace the old methods? Should there be extensive comparisons in the future? I recommend the Koutsoyiannis paper (poster, actually; or powerpoint) to interested readers willing to slog through it. [I]f you know the underlying distribution accurately enough, then you can do a better job predicting extremes than if you only know the (limiting) extreme value distribution estimated from the history of extremes. That’s a highly doubtful premise. There are many geophysical processes (e.g. sea-surface elevation) that are closely gaussian or log-gaussian, but prove more severely range-limited by physics. The history of long-term extremes seems to be the best guide to their distribution, as recognized decades ago by Gumbel and Weibull. K. is a relative novice in the field. john321s: That’s a highly doubtful premise. It is testable, as I wrote. Can you know the underlying distribution well enough? Is the accuracy of the limiting extreme value distribution poor enough? K. is a relative novice in the field. He is very good, and has more data and computational power at his disposal. Most progress in science has been led by relative novices. Most progress in science has been led by relative novices. “These issues are covered in Koutsoyiannis (2020). Koutsoyiannis is very much in the forefront of analysis of hydrological extremes. I could throw away another line – but given the risk of amateur pontification won’t bother. Koutsoyiannis is very much in the forefront of analysis of hydrological extremes. Alas, hydrology has never been in the forefront of geophysical analytics. The statistical distributions used by hydrologists over the years are many and varied. The intention of course is to extend short records. This paper by Koutsoyiannis is another and yet more accurate effort. But it all about design and not climate change. And maximum values are not derived by WMO methodology in this way. It is rather by recorded rainfall extremes converted to runoff and multiplied by factors peculiar to specific catchments. Not can it factor in climate change. It is about the past and not the future. Aside from the crass and superficial reference to hydrology at large – a couple of points suggest that John understands little of the subject he is pontificating about at the level of metaphysics rather than geophysics. As I suggested – we do not have long term records for the vast majority of catchments. That is the fundamental point. Koutsoyiannis used a 200 odd year record to evaluate his new distribution. In that way short records can be extended to longer periods of design interest – 500 years say. The second point is rather more subtle. Nile River records show ranges increasing with the duration of record. But you would need to understand Hurst dynamics. This reality seems at odds with John’s metaphysics. It requires no metaphysics, only informed experience, to recognize the difference in analytic sophistication between bona fide geophysics and the poor cousin of hydrology as taught to civil engineers. That glaring difference is evident here in the gratuitous assertion that extreme-value statistics are “all about design and not climate change” and the ostensibly “subtle” point that simplistic “Hurst dynamics” are required to understand the elementary property of ranges increasing with the duration of record. The likes of Cartwright, Preisendorfer and Tukey must be rolling over laughing in their graves. And still he doesn’t manage to say anything substantive. Hydrology is nonsense is his ill informed opinion? So what. Extreme value distributions – described at mathwave in the link I provided – and including a couple of well known but old and not hugely accurate methods he deemed the gold standard. He suggests that Gumbel and Weibull – whose distributions we are taught in hydrology school – are about something other than extending short records to derive estimates of infrequent flows for practical purposes. But again it is not clear just what he does claim. Except that he knows better than Dimitris Koutsoyiannis in some vague way. Risible nonsense. Climate change is about anthropogenic change in future – runoff records are of past events – distributions are a statistical construct for the purpose of designing bridges. Can he document any other use in flood hydrology? Trying to claim that these distributions – other than Koutsoyiannis’ – somehow define climate futures is just abject confusion. I don’t know what the hell he means at all about this range business. I have suggested he try speaking in English – but this seems at odds with his newest declaration on range and record duration. It is not clear because language is used at such a level of abstraction that there is no clarity – but did he change his mind without acknowledging it? Finally he throws in 3 names of statisticians and insists that they are rolling over in their graves. So what? You seem to have two diametrically opposed views on range and record length. Impossible to know wtf you are on about. … should have made the list. “We show in this paper that satellite-based surface temperatures can serve as an important validation of surface-based estimates and help to improve surface-based data sets in a way that can be extended back many decades to further scientific research. AIRS surface temperatures have better spatial coverage than those of GISTEMP, though at the global annual scale the two data sets are highly coherent. 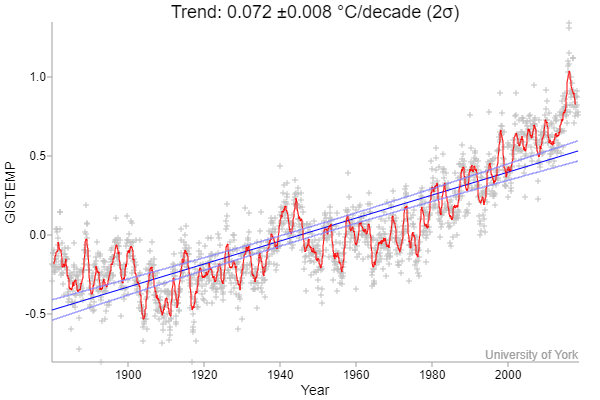 It could be a long time before temperatures reach 2016 levels again. It’s going to a lot longer before temperature drops below that of 1905. For once I agree with you. But dipping below the 1930s wouldn’t be bad, not a difficult task using the graphs produced 30 years ago. Or even having ECS of 1C would be ok. Many, many changes in technology are in store for us before 2100. This provides some confidence – an independent measure from surface thermometers. There is some difference between surface and satellite skin and aerosol interference will probably be a continual source of variance, but good to have independent measures. 2015-2016-2017 were all marked by greater solar absorption, so will be interesting to see how albedo and surface temperature evolve going forward. Just read Science magazine yesterday stating the new and improved next-generation models are showing an ECS of 5 degrees Celsius. You posted this comment in the wrong place, James, as it is not a reply to the comment it replies to. In any case ECS=5 does not pass the laugh test, so as a test of the model it looks bad for the model. But given that nothing in alarmism is falsifiable I expect it to become the new normal. A perfect case of “It’s worse than we thought.” Watch for the headlines. Guess my sarcasm wasn’t picked up. An interesting comparison with skin temperatures, which prove to be somewhat more volatile, as expected, than air temperatures. The major limitation is the very brief time-interval of comparison. Fifteen-year trends are bound to vary enormously in the presence of multi-decadal and longer oscillations. There’s an unwarranted presumption that the high cross-correlation seen in the short term will remain high in the much longer-term climatic scale. It’s precisely at the lowest frequencies of station records in close proximity that cross-spectral coherence tends to break down. Over the period studied NEITHER of these theories is supported by the data. UHI and surface temperature adjustments are real of course – but like trees and methane are hardly paradigm shattering. The new climate paradigm was identified by the NAS in 2002. The climate system changes perpetually in ways that models miss. So 8 of 100 or so model runs – because each model has of course 1000’s of plausible and chaotically divergent solutions – show a sensitivity > 5 degrees C? More traditional to call it secular variation rather than trend – the latter of which it ain’t. And what should they attempt to test against this unspecified data series with the unspecified distortions? I’d suggest a little more subtlety in ideas of hypothesis testing. Really – and a lot more eschewing of metaphysical, pseudo scientific jargon in favor of plain English. I always wonder who they deceive more? The intended victim or themselves? With some people it is more the appearance of having something profound to say – to someone or other – rather than actually having something meaningful in mind. “UHI and surface temperature adjustments are real of course – but like trees and methane are hardly paradigm shattering. Thank God for urban dicktionary. I know it is not in your nature – but you are going to have to be a lot less obscure. There is of course a vast body of literature by now on the dynamical complex climate system. Tell me it’s been falsified. The 2016 transition of the Greenland Jakobshavn glacier from acceleration and thinning to thickening and deceleration and thickening is noteworthy. Peter Ridd set free. Worth an article surely? 10 years old; has it been confirmed by others, or disconfirmed? The actual study doesnt say that, it is much more circumspect. Steven Mosher: The actual study doesnt say that, it is much more circumspect. I am not seeing that; do you have a quote? It says “suggests that” there was less ice, and that causal influences may have been different from today. Has the paper been disconfirmed? There’s a lot of info on his background and his interactions with people like Andrew Cuomo and Josh Fox. There’s stuff about the paper he sued over, without mentioning the lawsuit. His ill conceived suit is not the end of the line for him. The Department of Energy’s jurisdiction encompasses a wide range of responsibilities, from presiding over the maintenance of the American nuclear weapons system to promotion of and research into energy conservation efforts and new forms of energy production. This is another spot in which the aforementioned Inslee and McKibben (particularly the former given his experience on the House Energy and Commerce Committee) would feel comfortable in. Should Sanders take the route Obama took and appoint a professional scientist to the role, a name like Mark Jacobson, a high-profile Stanford academic who heads the Energy program at the university and is one of the most prominent scientific officials to corroborate the logistical viability of the Green New Deal, might be enticing. From the first objective of the current hydrological decade. And here is another ‘opinion’ from the inestimable Koutsoyiannis. 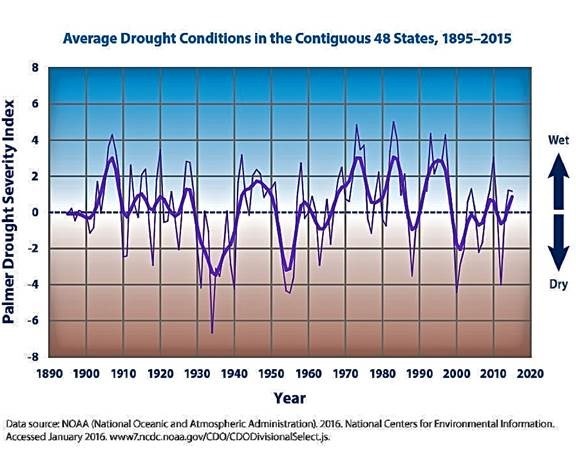 For some hydrological change over the past 50 years is attributed to humans. Laughable nonsense. So what is the alternative? I started a GIS project last week. Busily working out how to do terrain mapping and automated catchment analysis for the Fitzroy River catchment in Central Queensland. . After that many water quality and quantity programs – I have used many – have a GIS backbone. They all should have the same core of parameters involving geology, land use, biology and terrain. In a very simplified form. I am wondering how to anticipate changes in infiltration related to land use changes. Thank you for posting the link to The day the dinosaurs died https://www.newyorker.com/magazine/2019/04/08/the-day-the-dinosaurs-died. If not for this event, we probably would not be here now. It also shows the resilience of mammals. They lived through it. What a wonderful record of the event of a few hours, 66 million years ago. It is an excellent example of what can be found in the fossil record. It also shows the importance of dedication to field work and of a lifetime of dedication to a subject area. Robert DePaula’s interest in bones began when he was 3 years old. What a wonderful discovery he has made. A furtive rat like creature ensconced in a deep burrow? Actually – they are thinking that the alacrity with which the wave moved 1000 km is inconsistent with the tectite presence. The claim that the entire site is at the K-T boundary is based on a similarity in tectite composition – and the presumption that it was the same meteorite. What a wonderful record of the event of a few hours, 66 million years ago. Few disasters are over in a few hours. I suspect this disaster, or wonderful event, otherwise we might not be here, played out over hundreds and thousands of years and most likely in everything that has happened since then. 66 Million years is a good – and safe – stretch of time to speculate on. Obviously then, there is no credit given to biblical text, namely Genesis 6-11. That was a lot nearer and there is plenty of evidence if one cares to look. 5200bce and 3200bce were two dates of mass wipe-outs (the biblical was only one instance). Now what psychological twist drives us to speculate that far away in time, but inhibits from looking nearer. Re-reinforced amnesia? Obviously some haven’t read it through. My apologies if these papers have already been posted elsewhere on your site, but they’re interesting. Dewitte and Clerbaux examine various measurements of Earth’s OLR from various sources, covering the period of 1985-2018. They derive a Longwave Feedback Parameter from the data and find evidence of an effect by clouds that differs from most models. Now, here’s my question for everyone. In the second paper I linked, they say what we’re all thinking. “At first sight it seems surprising that the EEI is decreasing during a period of continued greenhouse gas emission.” Indeed. By my rough calculations, the rise in CO2 concentration between 2000 and 2018 should decrease OLR by 0.53W/m2. Is it fair to assume that the observed OLR rise would’ve been that much higher without these continued emissions? Dewitte et al. study Earth’s OLR from 2000-2018 and find a decreasing trend in Reflected Solar Radiation, but an increasing trend in Outgoing Longwave Radiation, that nearly cancel each other out. They do not cancel each other out, they add together to balance the incoming, except sometimes oceans are thawed and producing ice with IR out to remove the energy and sometimes the ice is thawing and keeping earth cold removing energy. Energy is removed from the internal system in warm times with more IR out and energy is added to the internal system in cold times with less IR out. They tell us that energy is stored in the oceans. Well Duh. except cold oceans get warmer because that is when the energy is being added and warm oceans get colder because that is when the energy is being removed. There is no equilibrium state for the climate, it is always changing. You must understand where the energy is in the oceans and the ice and you must understand which way the energy is flowing and the how and why. More IR out removes energy from the oceans when oceans are warm. Thawing ice removes energy from the oceans during cold times because the IR out does not remove the energy then. Ice is produced and stored in warmest times with thawed oceans in cold places. The ice is used for cooling during the coldest times. This internal cycle has not been properly understood since Ewing and Donn tried to explain it sixty years ago. This could be good information about the years before 800 thousand years ago. The ice cores explain what happened since, Antarctica gained more and more ice volume until enough water was removed from the oceans to prevent the continuing of the increasingly larger ice age and warm cycles. The ice berg debris could tell us some about when the ice ages were getting bigger and longer. This is a record of internal cycles of water changing to ice and thawing in internal natural cycles with periods that changes as the mass involved changed. Warm times with thawed ocean promoted more ice and more ice promoted more cooling while it thawed and these internal natural cycles evolved as ocean circulations evolved. Most everyone only looks at the atmosphere and external forcing, internal natural cycles are what really happens. Satellite data is in total agreement with ground stations. OK, so slightly higher, but close enough to keep doubters at bay for a short while. Not that there was much doubt by most. And yet, OTOH, the case is building for the role of volcanic eruptions in ending the dinosaur era. You are getting closer to the law of nature. Water reflects radiant heat back to the black sky. The surface of the earth looses radiant heat to the black sky. The sun sends radiant heat to the surface of the earth. When the earth looses more heat to the black sky than it retains it takes heat from the ocean, as it is now, It can’t get any simpler than that. – The AMO commenced a sharp decline in 2018. The warming story is approaching the end of its shelf life. Satellite data on TOA flux – from 1979 – shows decreases in reflected shortwave and increases in infrared emissions. The why of it has been the subject of study over decades. Along with an entrenched denial of the potential for intrinsic climate variability.